Highland single malt GlenDronach has released its seventh annual batch of cask strength whisky, matured exclusively in ex-Sherry casks. GlenDronach Cask Strength Batch 7, bottled at 57.9% abv without chill filtration or the addition of colour, includes whiskies aged in Pedro Ximénez and oloroso Sherry casks. Master blender Rachel Barrie described the whisky as ‘smooth, nutty and rounded, with notes of Highland toffee, walnut cream, sultana bread and figs’. This, she added, was the result of the whisky’s Sherry cask maturation in GlenDronach’s earthen-floored dunnage warehouses, which helped create ‘a sublime aroma, rounded taste, full body and long-lasting finish’. 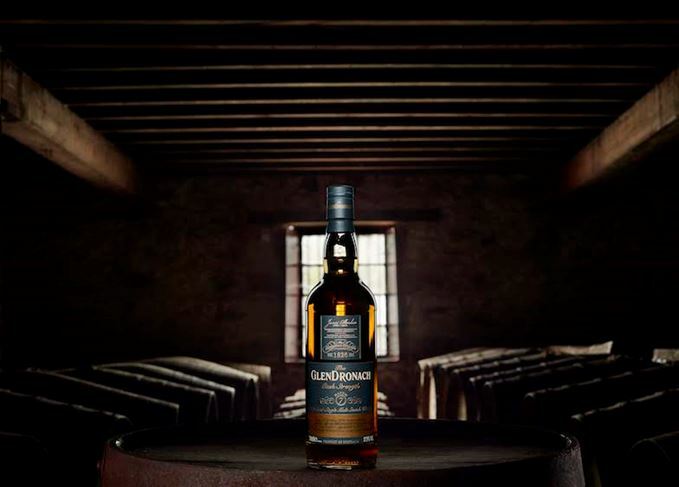 ‘With a cask selection spanning summer, autumn and winter distillation at GlenDronach, the resulting marriage delivers a malt with a strong heart, complex taste and smooth, mellow maturity,’ said Barrie. GlenDronach Cask Strength Batch 7 is available now from specialist retailers worldwide, with a UK retail price of £60 a bottle. The range features 14 Sherry cask-matured whiskies, plus one matured exclusively in a Port Pipe. The 27-year-old limited edition malt has been matured in ex-PX and oloroso Sherry casks. The Highland distillery is releasing a limited edition 24-year-old single malt this month. The 10-year-old Sherry cask-matured whisky is the distillery’s first in travel retail.